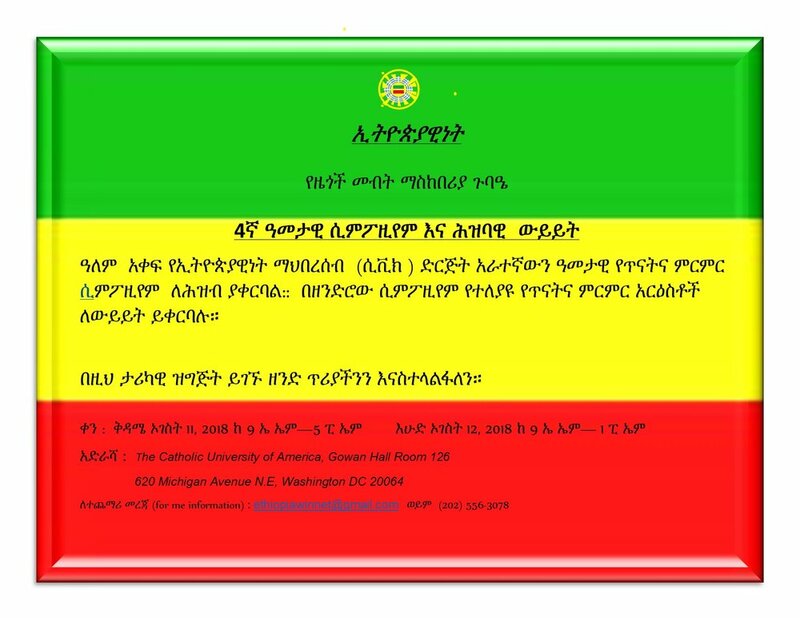 “Ethiopia’s Transition to an Inclusive Political and Economic Order.” Silver Spring, MD (USA), May 30-31, 2015. A welcome and Introduction by Ato Betru Gebregzibher, chairperson of Ethiopiawinnet. Lt. Ayalsew Dessie presents a study named: What kind of Change in post EPRDF Ethiopia?